My snow blower broke down recently and I decided that I only had a couple of options: repair it myself, have someone else fix it, buy a new snow blower, buy a used snow blower or arrange for a snow removal company to clear my driveway when it snows. 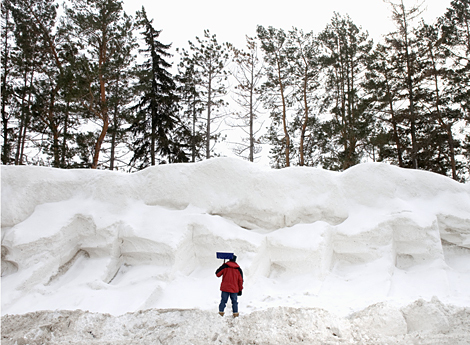 Snow removal companies cost more over the long run. They can cost as much as $350 a year for my size of driveway. After five years of this service, this would add up to over $1700 plus tax. A ten horsepower snow blower with a 28 inch clearing width costs around $1500 plus tax not on sale. The break even is less than 5 years the way I look at it and sure I have to get out there and clear the snow myself, but I really do a better job and would prefer to do it myself. On top of that I also get a little exercise. Time to replace or buy a new used machine. I opted to purchase a snow blower that was used. The guy selling it told me that it worked fine. He was looking for one that was even more powerful. He delivered the snow blower for free and I paid him $280. Now it would not work without some adjustments which he apparently did not know how to make. The belt needed to be tightened so that the blower will actually blow snow much further than it does. I also had to reconnect the power leads for the light and change the oil in the engine which was no problem at all for me. The housing is showing a bit of age, but then they all do after a few years of use and exposure to salt and ice. The belts were fine so I think that I got a really good deal for less than what it would cost to hire a snow removal company for one year. If it only works for one year, I am ahead of the game in terms of pure financial terms. Hiring a snow removal company is not in the cards for me, however for many people who are not prepared to clear their own snow from their driveways, a snow removal company is really the way to proceed. Like I said the cost for my driveway is around $350 a year. They will only clear my driveway if there is more than one inch of snow. I am stuck clearing snow in any case on these days. Single car driveways will be less and longer double wide driveways will cost even more. I also still need to get out outside and clear the snow away from my steps and front door. While I could also have this completed by the snow removal company, there would be an additional fee for this work as well. I would much rather do the entire job myself and know that it is done right at lower cost. My neighbor and i take turns blowing out each others driveway. This is another big advantage of having a snow blower to clear your own snow. The trick is to allow the snow blower to do the work for you. Do not try to man handle the snow blower. Another neighbor of mine, bought one and then returned it because he found it too much work to move the machine around. He was trying to steer and direct the machine by pushing it instead of allowing the machine to do the work for him. He found it just too much effort to use it and returned it after a few weeks. I never did hear whether he got all of his money back or not. It was a craftsman snow blower which is a popular snow blowing machine and should have just worked fine if he had known how to use it. He was much better off hiring a snow removal company to clear the snow for him!